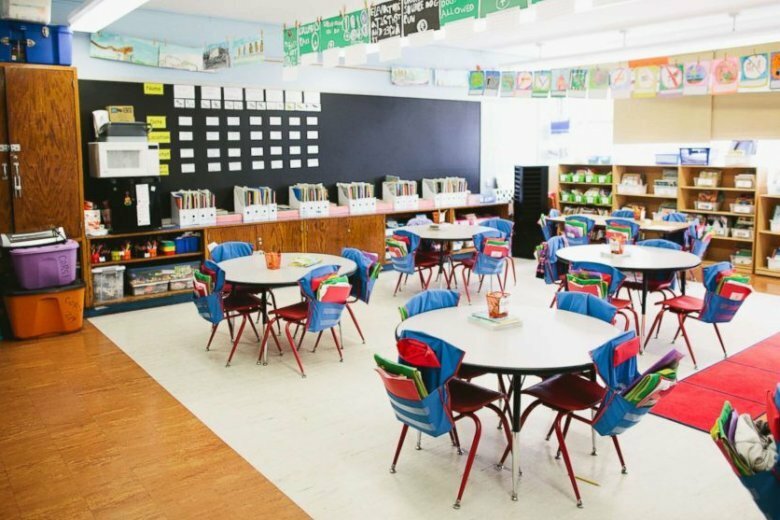 Many public school teachers across the country are looking to go above and beyond to educate the next generation, and they're turning to DonorsChoose to raise money for school supplies and projects. (NEW YORK) — Many public school teachers across the country are looking to go above and beyond to educate the next generation, and they’re turning to DonorsChoose to raise money for school supplies and projects. The non-profit crowdfunding website, which allows anyone to donate to projects posted by educators themselves, has funneled more than $730 million to teachers since 2000. Click here for more information on how to find a classroom, project or teacher to support on DonorsChoose.org. “About half the projects on our site are basics: paper, pencils, dictionaries, art supplies for an art teacher,” DonorsChoose CEO Charles Best told ABC News’ T.J. Holmes. Jane Viau, a high school teacher at the Frederick Douglass Academy in the Harlem neighborhood of New York City, said she’s raised “over $82,000 worth of resources that go directly into the hands” of her students. “I want kids to come in and feel the energy and feel the brightness, and want to learn,” she said. Viau said the donors are from “all over the country,” and for many teachers the site can be a major resource to fill funding gaps at a time when public school budgets are often tight. Over three-quarters of her students come from low-income households, Viau added. Viau just began her 17th year as a teacher. Before that, she worked on Wall Street as an investment banker. After the attacks of Sept. 11, 2001, she said she had a crisis of conscious, which led her into education. Carlos James, one of Viau’s former students, said he has been touched by the way strangers have shown that they care. At least seven of her former students have gone on to give back, donating to projects at their old school. Elsewhere across the country, public school teachers of all subjects have also shared how they have used the site to help make a difference in their community. Music teacher Genein Letford at the New Academy Elementary school in Canoga Park, California, said she has had 54 projects funded on the site that include everything from buying musical instruments to taking students on college visits. Elementary school teacher Damon Qualls from Greenville, South Carolina, said that after noticing many of the young boys in his class didn’t have positive male role models, he turned to DonorsChoose to fund the “Men Who Read” program, which invites male community leaders to visit his students and read to them. He also raised money to buy his students blazers and ties. Through DonorsChoose, educators across the country are making a difference in their communities and inspiring the next generation. Click here for more information on how to find a classroom, project or teacher to support on DonorsChoose.